New! A strange phenomenon was first discovered at University of British Columbia ski club touring camps in the 1960s. While students carrying bowls or more standard eating vessels received regular potions, those clever few who were using a simple 2 cup measuring cup typically received much larger portions from the servers in the communal meal line. Soon, a few daring students were experimenting with 4 cup measuring cups and found the results to be the same: larger portions. 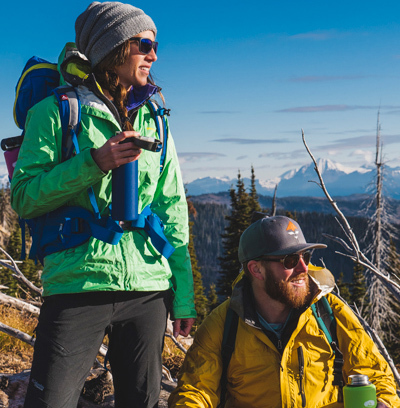 Thus, the original fairshare cup was born.Now nearly 50 years and several innovations later, GSI Outdoors has developed the FairShare Mug II, with insulating sleeve, compacting handle and a new lid that allows mugs to stack when sto, assuring that a whole new generation would receive their fair share too.